Sister Sledge Live in Branson has had to cancel their show for this year, due to health issues. Do not miss your chance to see Sister Sledge live in concert as they make their way to Branson, MO for one night only. Comprised of three sisters, Joni, Debbie, and Kim Sledge, this unique music group is bursting with talent. Each of the sisters takes on a huge vocal role and has plenty of other talents as well. Stemming from the one of a kind excitement that came from the disco era, Sister Sledge quickly became superstars of the 70s. Throughout their career, they have undeniably helped shape the genre and culture of their music. 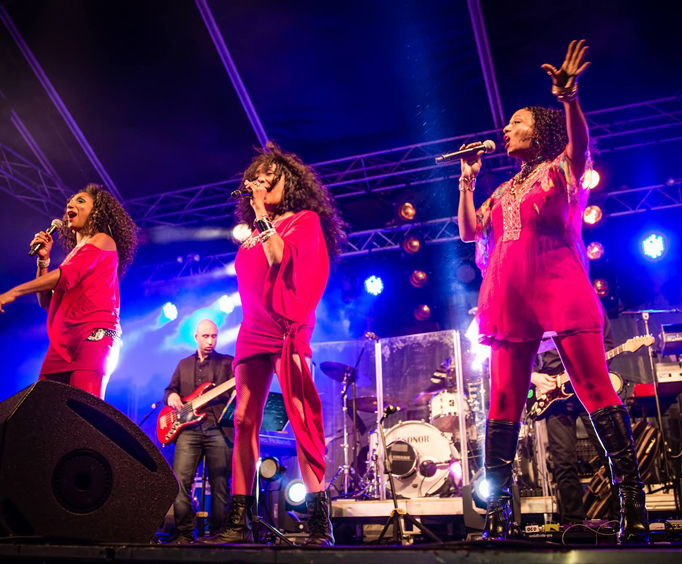 This high-energy show will have you dancing and singing along to Sister Sledge’s biggest hit, “We Are Family”, as well as other catchy tunes like, “All American Girls”, “Lost in Music”, “Mama Never Told Me”, “Thinking of You”, and many more. Sister Sledge started in Philadelphia while the sisters were only teenagers. Having spent time in the recording studio from the early 70s all the way through the late 90s, this dynamic group has released more than 10 albums. 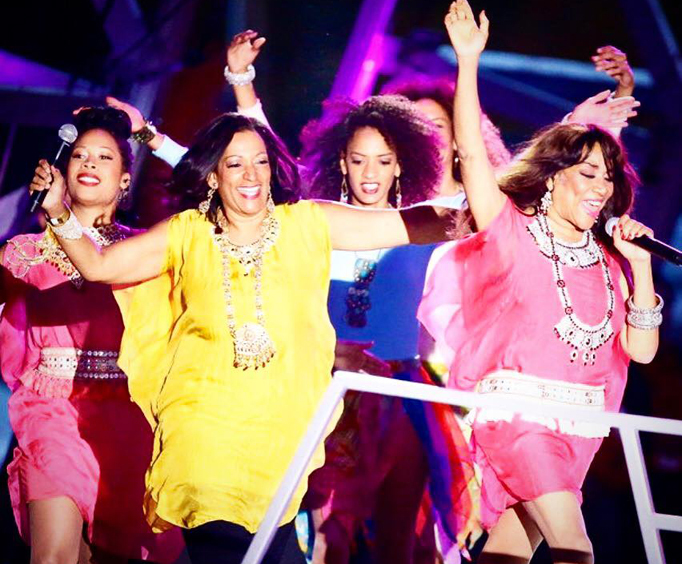 Each member of Sister Sledge has their own accomplishments as a songwriter, producer, performer, and of course vocalist, which means it would have been easy to pursue a solo career, but we all know family has a special place in these sisters hearts. Do not miss your chance to see these three queens of disco put on a dynamic show that you won’t soon forget. 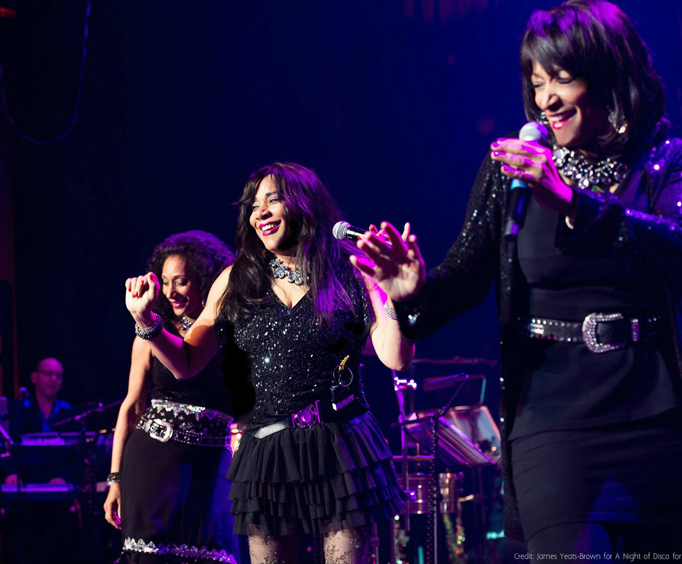 Get your tickets to Sister Sledge live in Branson, MO today!